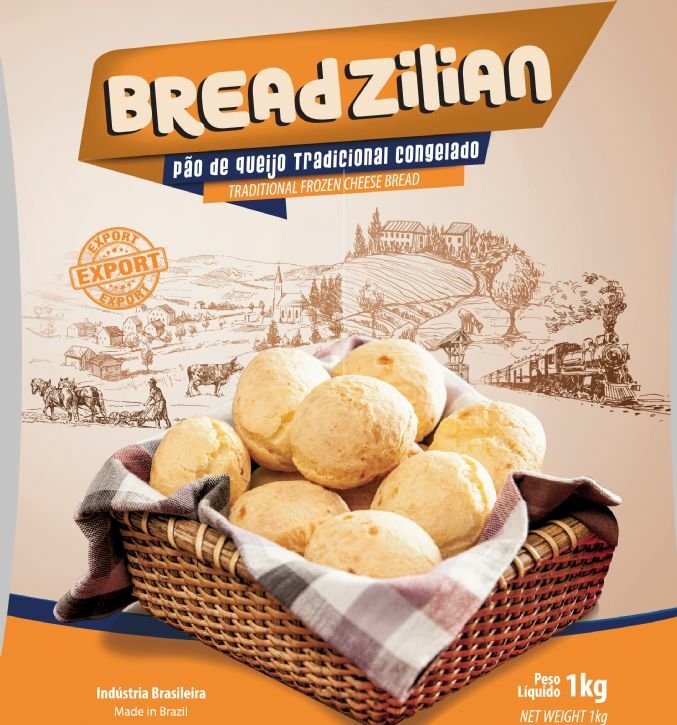 Cheese bread is a typical Brazilian recipe from the state of Minas Gerais. Its origin is uncertain, it is speculated that revenue has existed since the XIX century, but has become effectively popular in Brazil since the 1950. Cheese bread is a variety of small bread, baked, cheese-flavored rolls, for snack and breakfast food. 2- Remove the frozen cheese bread from the package and arrange in a baking pan, with a space of 2 to 3cm between them. 3- Bring the baking dish to the oven and cook for 25 minutes or until the cheese bread are golden brown. 4- Remove them from the oven and serve. Do not bake in the microwave. Do not open the oven before 20 minutes of baking as the cheese bread may wither. As there are differences between the types of ovens the preparation time can vary, adjust according to yours. Remove only the quantity that will be consumed and return the rest to the freezer. Do not put the cheese bread to bake in a cold oven, so they do not get hard. Mixture for cheese bread (sour sprinkles, manioc starch, modified cassava starch), water, Minas cheese, egg, Sunflower oil, margarine, lactic compound, salt, natural flavor of canastra cheese. ALLERGIC: CONTAINS EGG, MILK AND SOYBEAN DERIVATIVES. MAY CONTAIN WHEAT DERIVATIVES. Keep in Refrigerator or Freezer -8°C or colder Once thawed, do not refreeze the product. (*) Percent Daily Values are based on a 2.000 calorie diet or 8.400 KJ. Your daily values may be higher or lower depending on your calorie needs. (**) DV not settled.